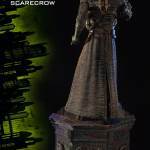 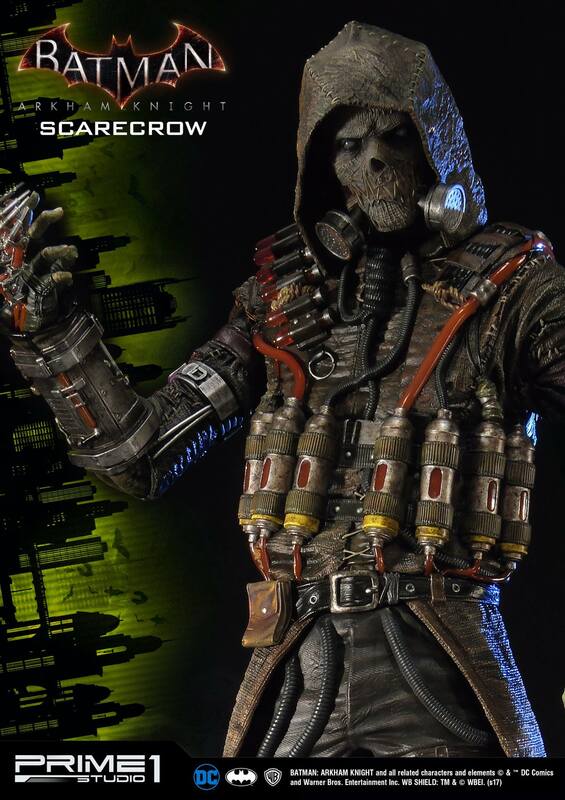 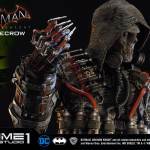 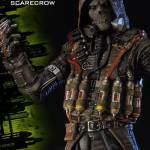 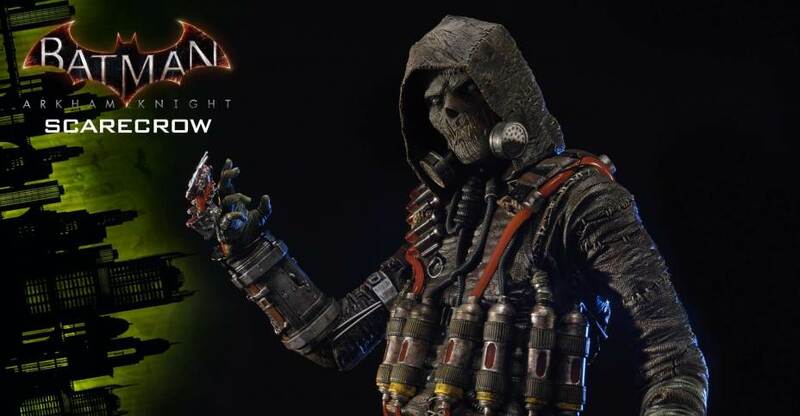 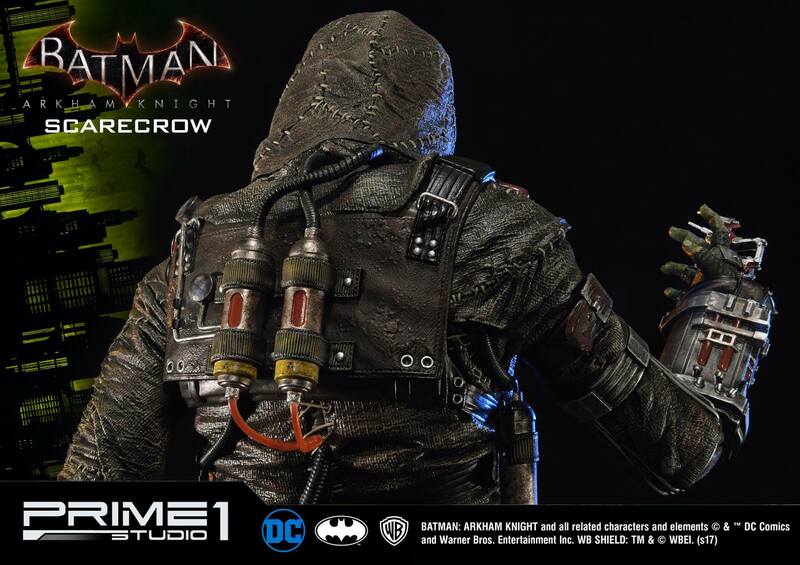 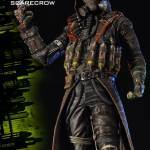 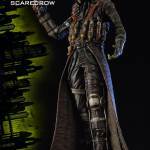 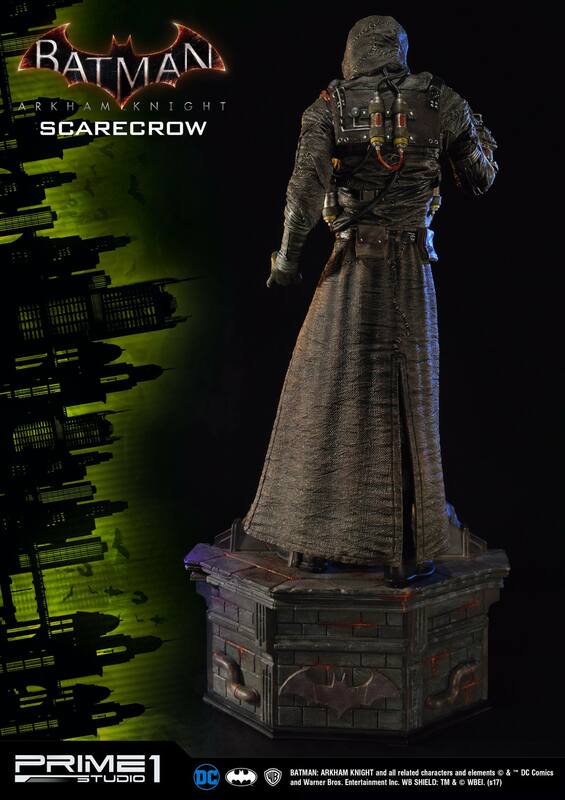 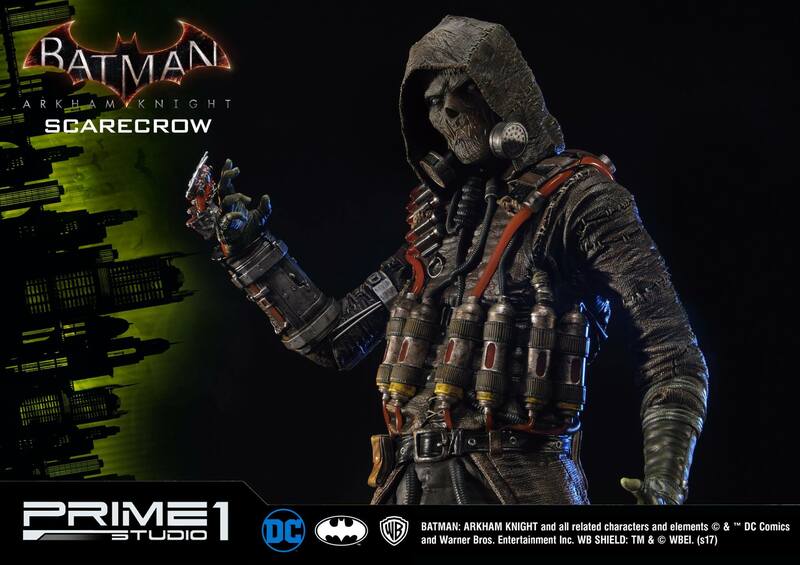 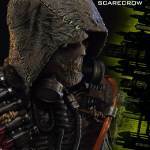 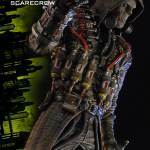 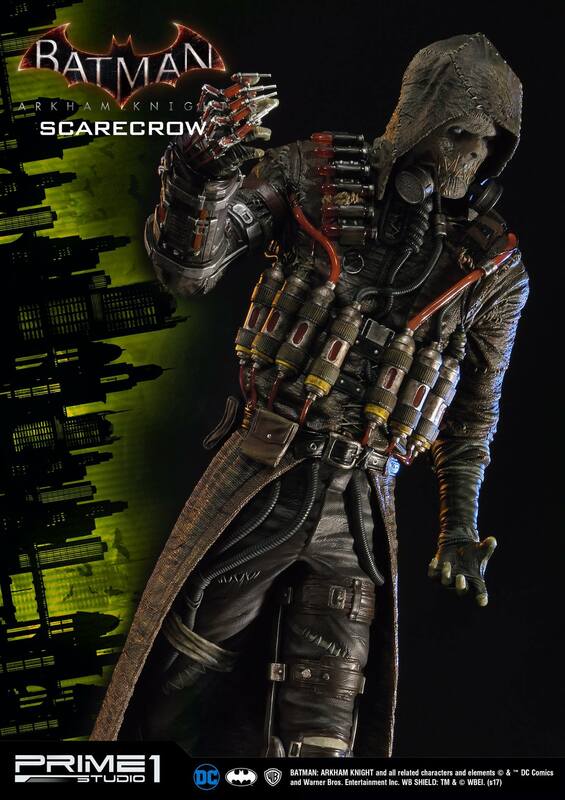 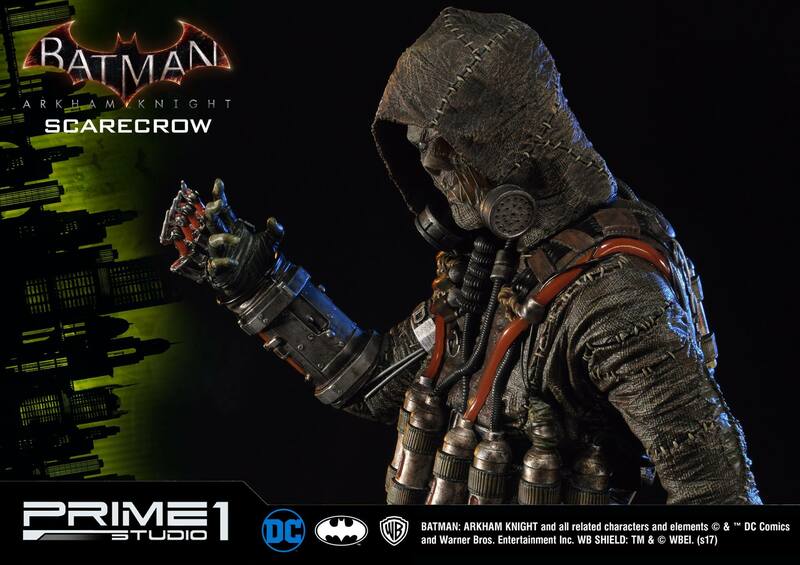 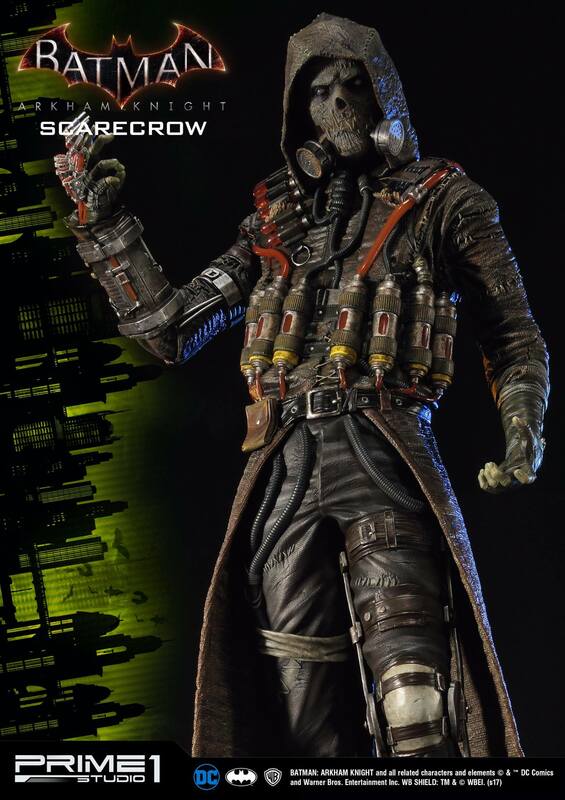 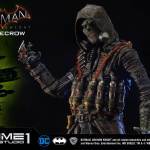 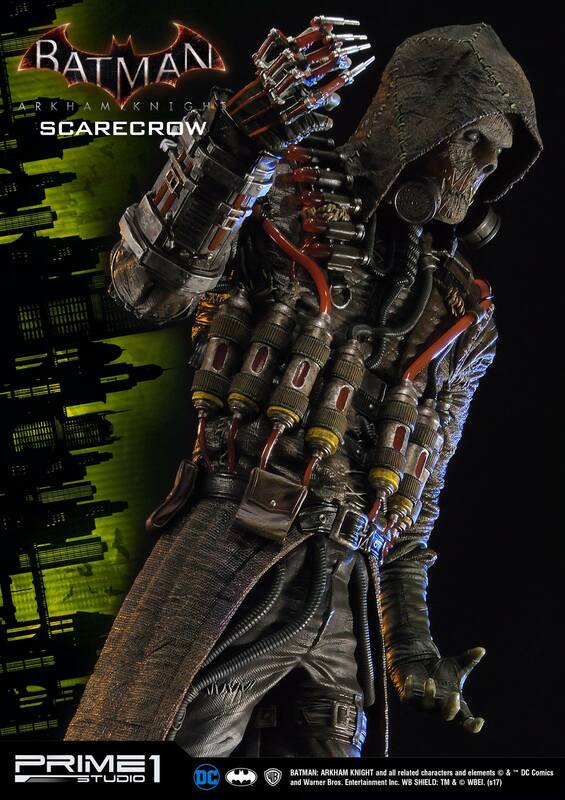 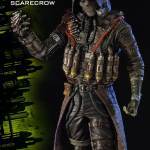 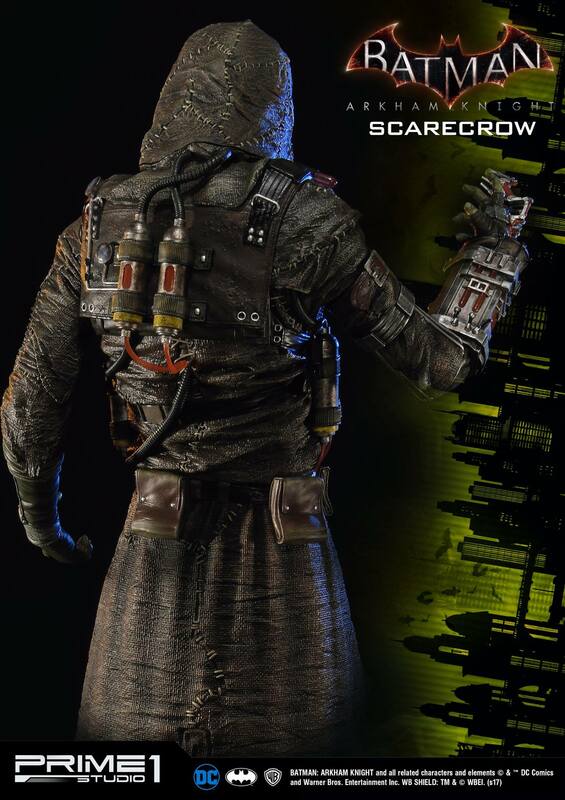 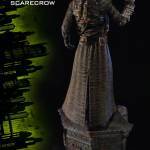 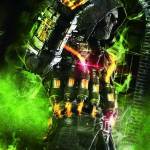 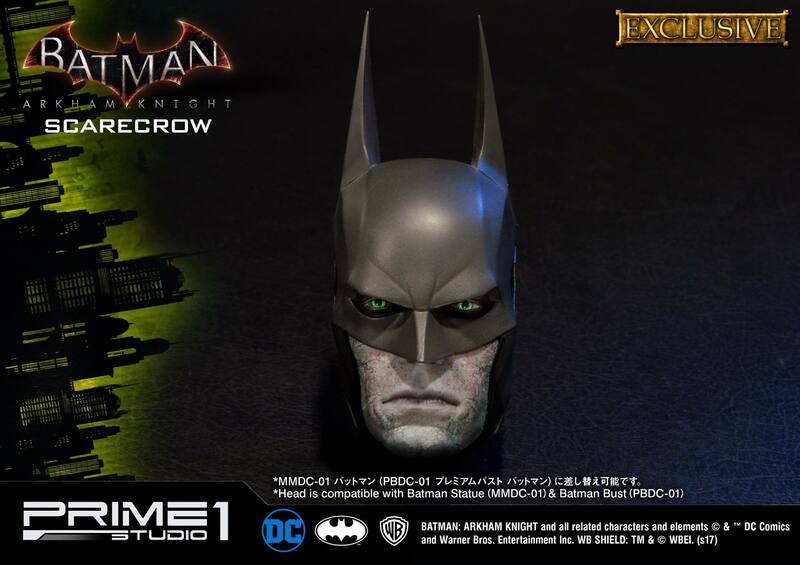 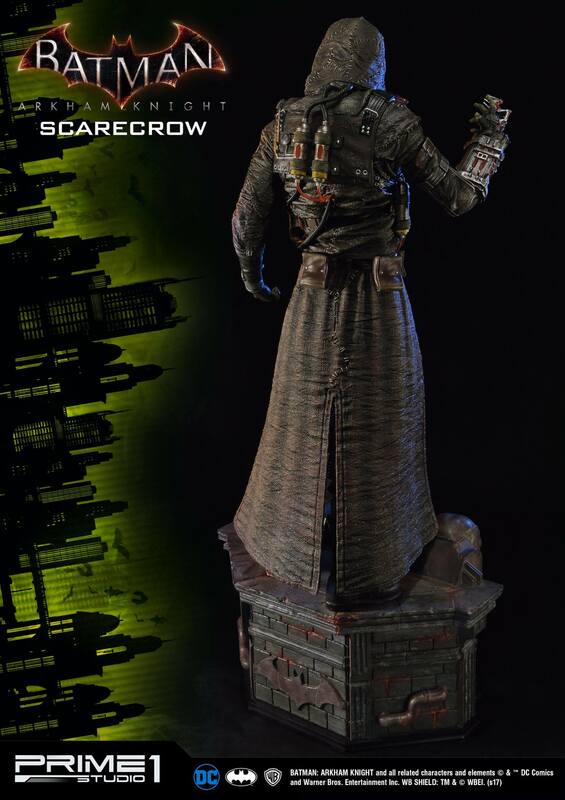 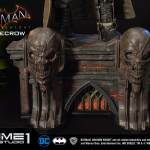 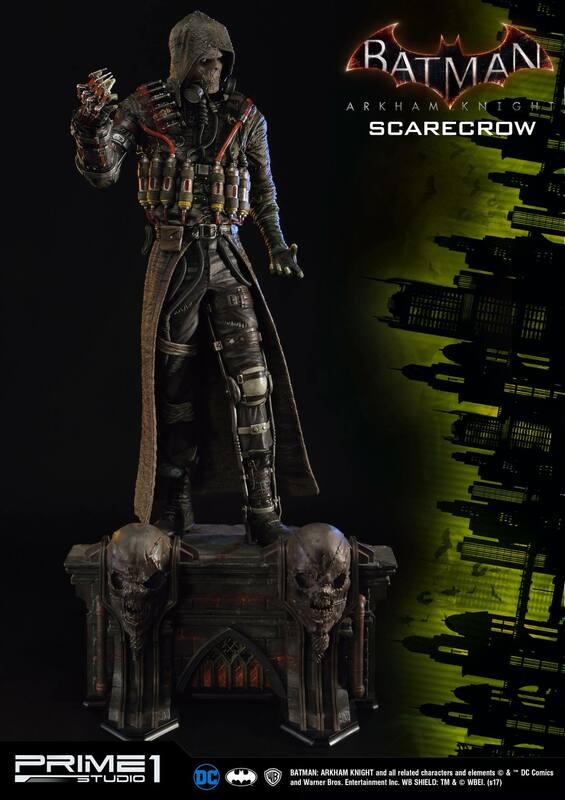 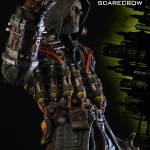 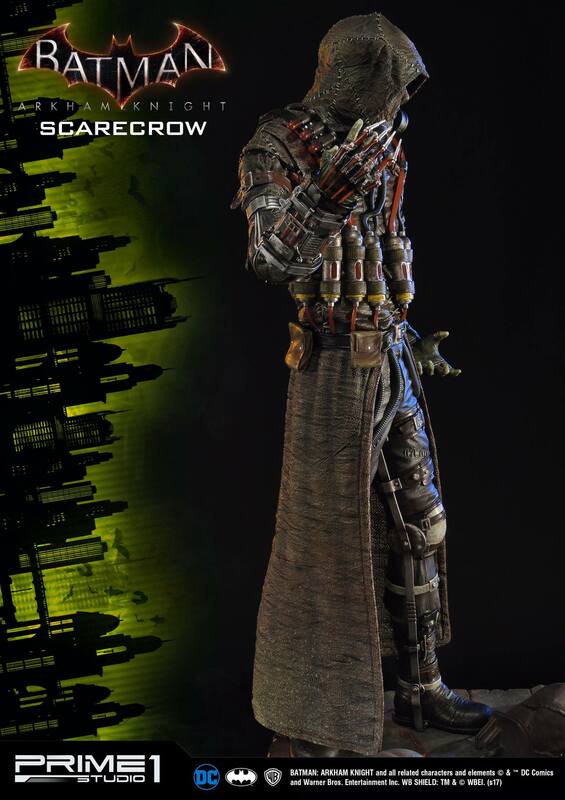 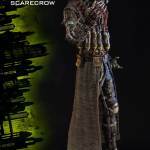 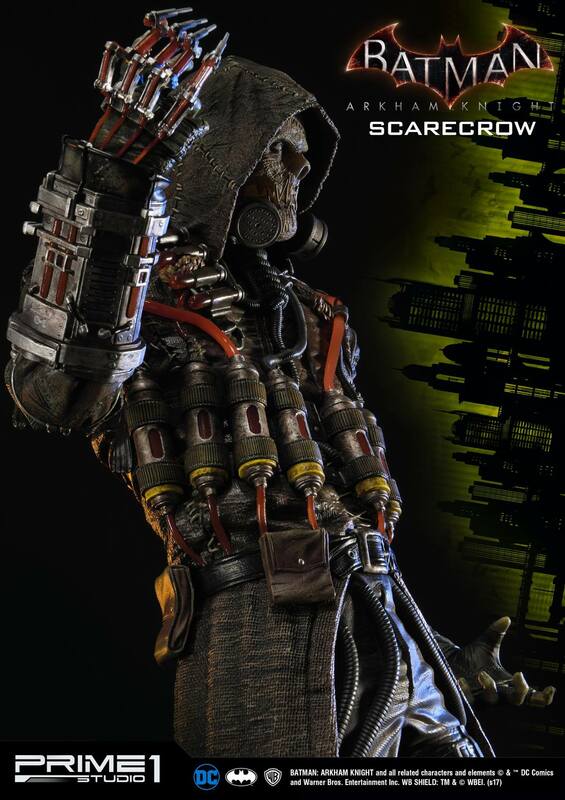 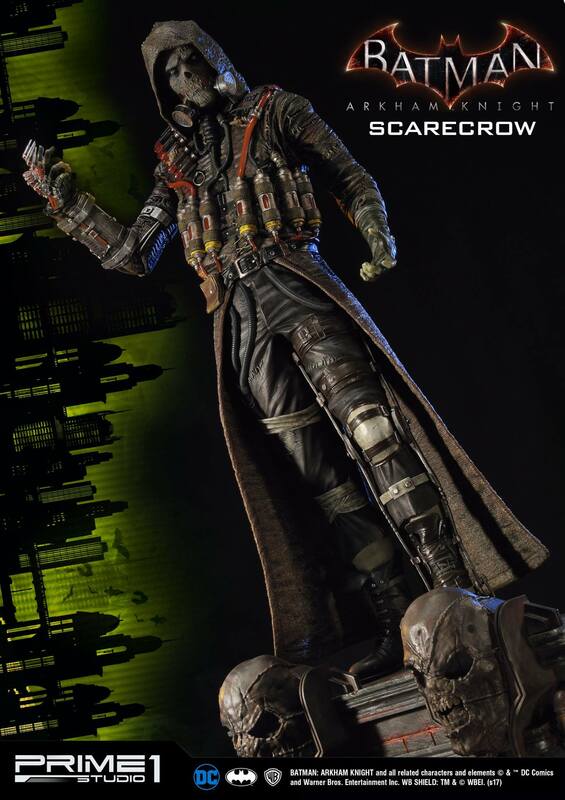 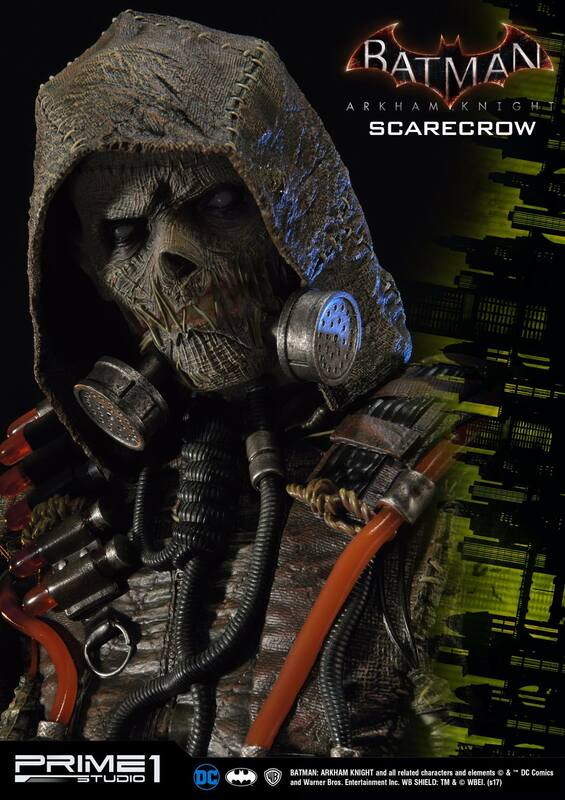 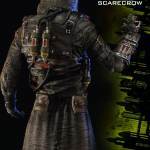 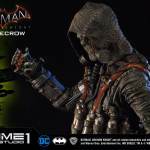 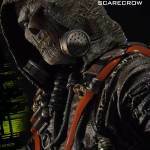 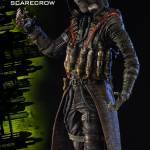 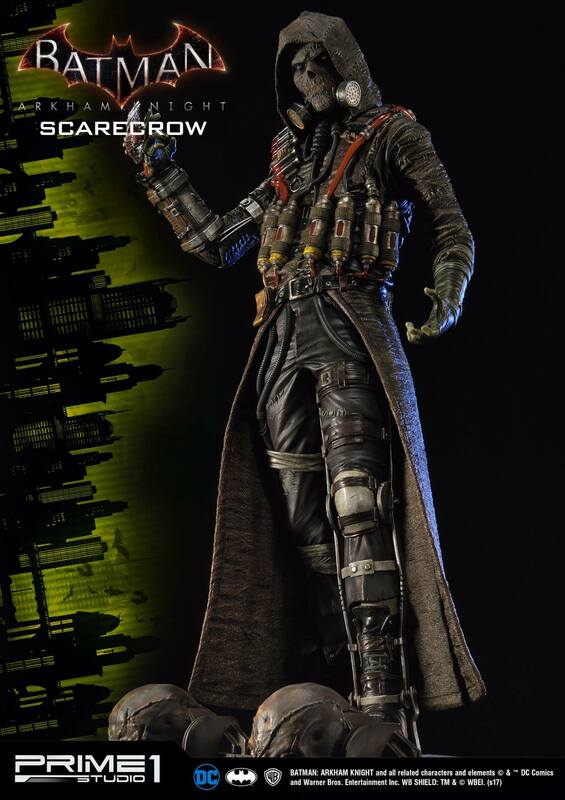 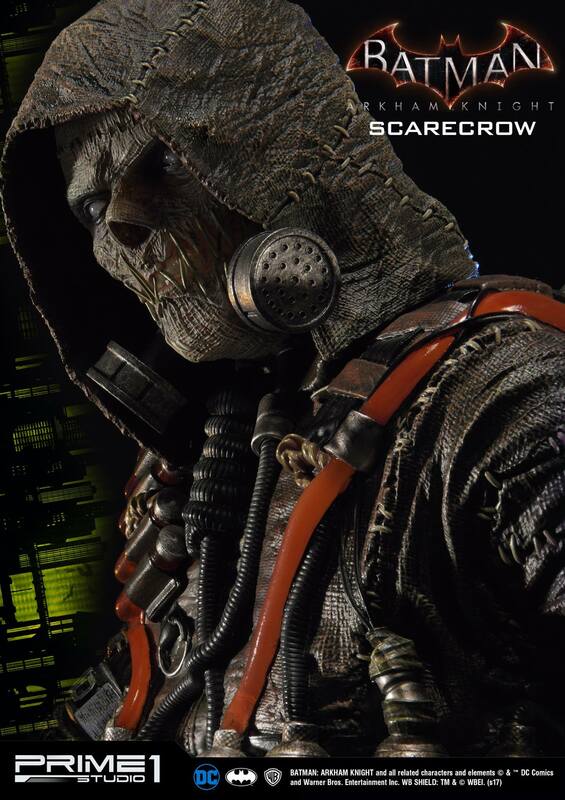 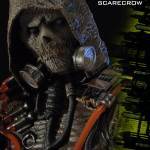 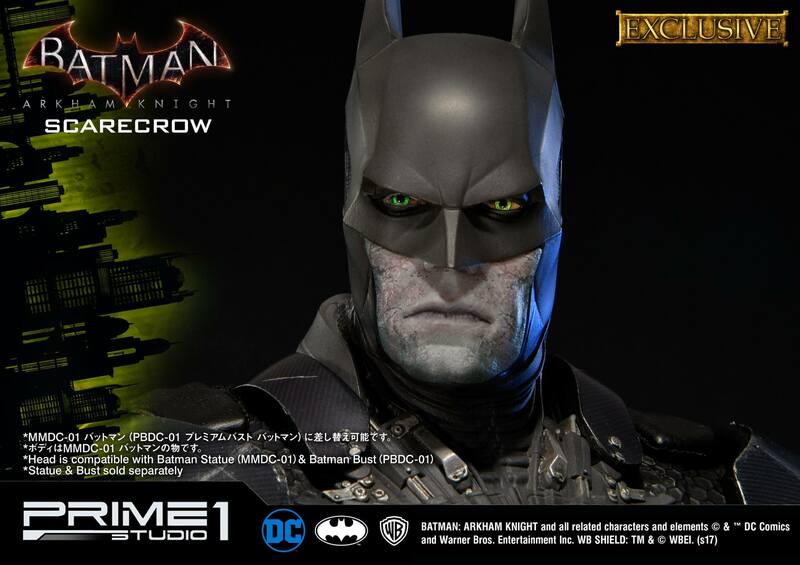 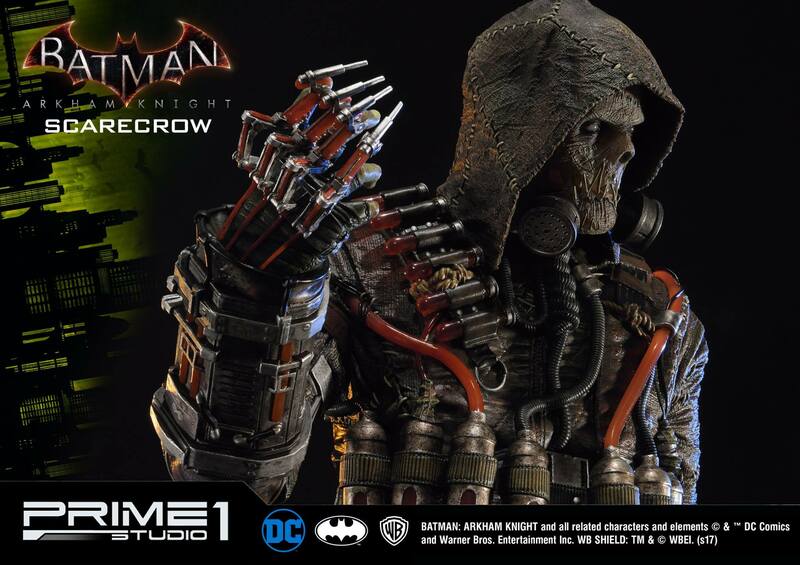 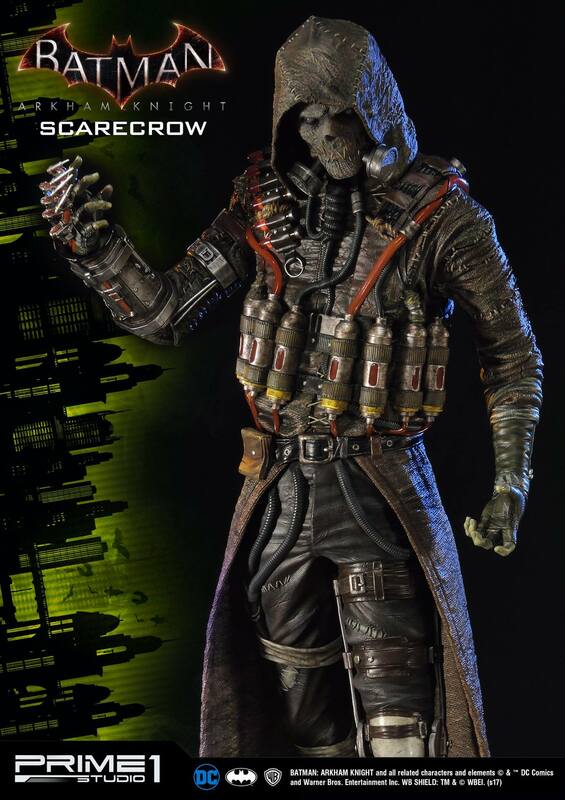 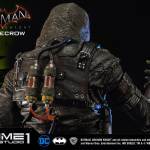 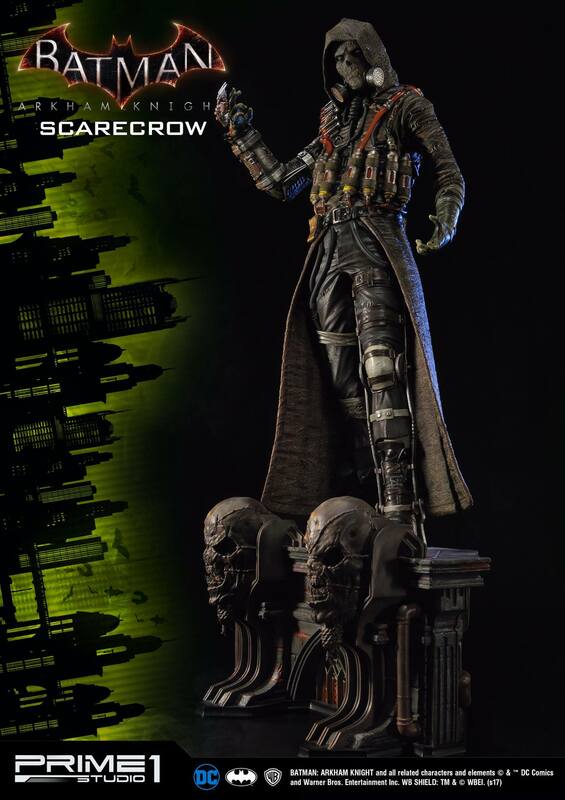 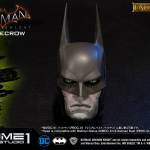 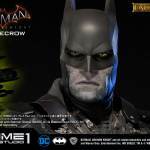 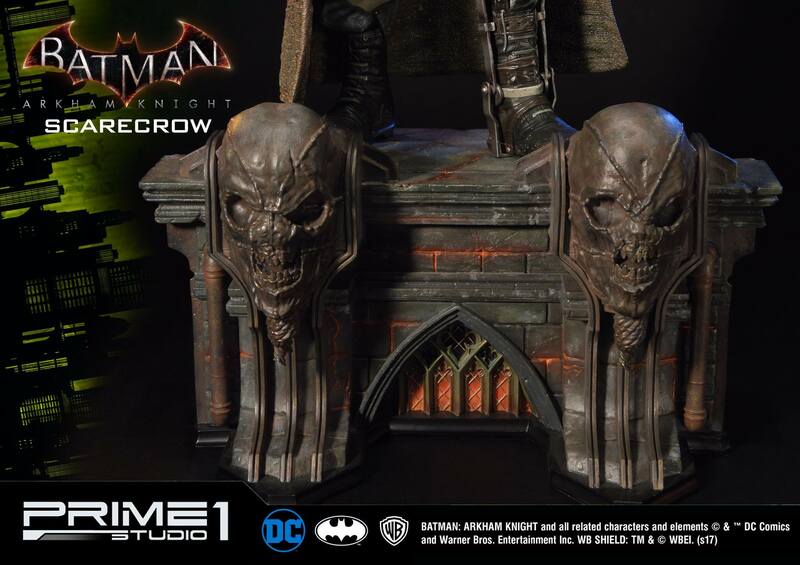 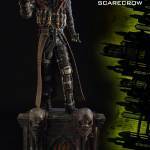 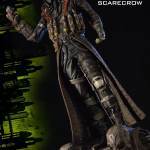 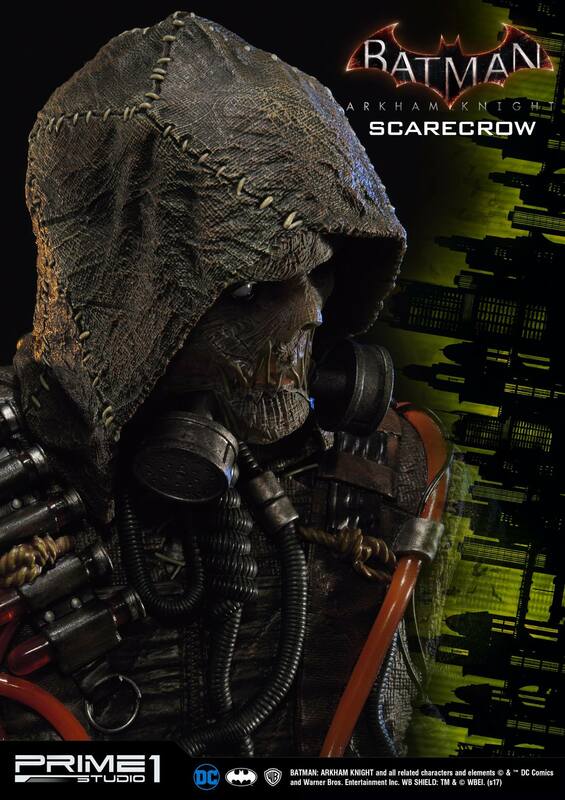 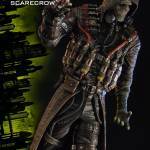 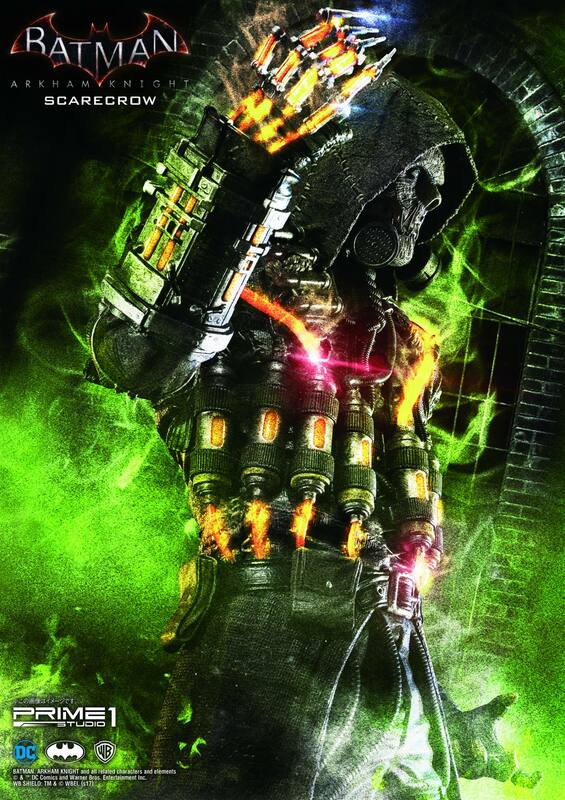 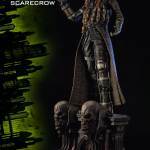 Prime 1 Studio is proud to present MMDC-18: Scarecrow from Batman: Arkham Knight. 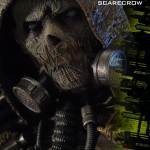 Taunted and bullied in his youth, Jonathan Crane vowed to overcome his fears through the study of psychology and biochemistry on phobias and the nature of fear. 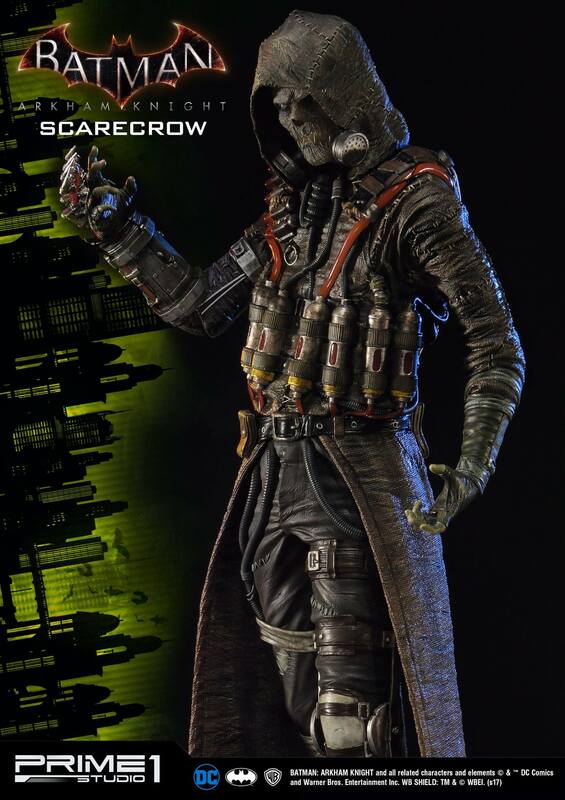 Kicked out of the university he taught at for experimenting on human subjects, Crane adopted the identity of the Scarecrow, and armed himself with a specialized fear-inducing gas that makes a person’s deepest phobia become a frightening reality. 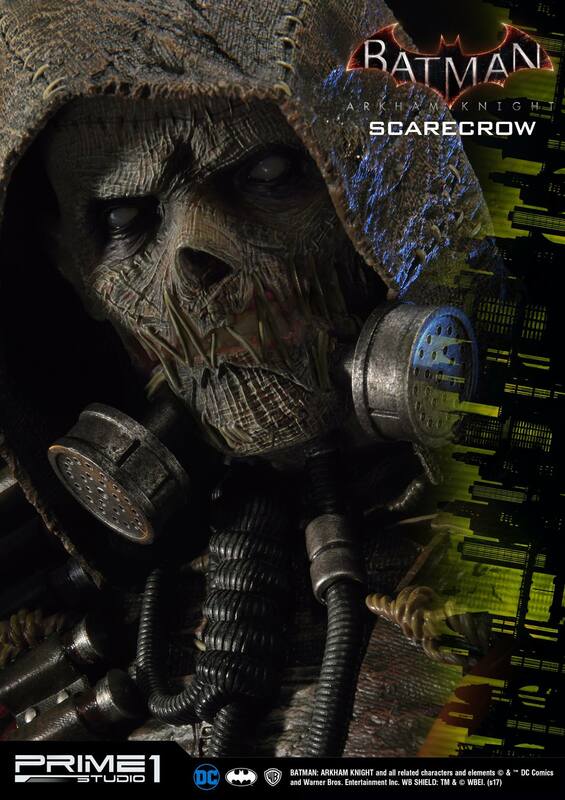 Scarecrow’s ongoing reign of terror makes him one of Batman’s most recurring and psychologically dangerous foes.